“Squeeze it! !” The man at my left in the sold-out crowd of David Geffen Hall (capacity: 2,738) just attempted the impossible: diverting attention away from legendary jazz trumpeter Miles Davis. The 64-year-old icon has always been known for the beautiful silences between his economic phrases, for the notes he doesn’t play, and the audience is all in the middle of one of those sublime pauses as the band plays on. The scene is the Newport Jazz Festival, June 21, 1987. I’m 16, shrinking in my seat imagining thousands of eyes darting in our direction. The man at my left yelling at Miles is, of course, my dad. In ’87 Miles Davis had been working with Prince—my hero—behind closed doors, and so my ears had been cocked all night long for anything smacking of Madhouse (Prince’s own one-man-band jazz project). Davis’s most recent record Tutu—named for South African activist Desmond Tutu—gets plenty of spins at home. The first album I’d ever spent my own money on at 13 was the Miles Davis live album, My Funny Valentine. I was, naturally, named after him and so his significance to me was cemented. Being a teenager embarrassed by my dad’s (actually pretty cool) outburst might be my major memory of the show. I’d see him again at 20, the year he died. How would someone young get turned on to jazz, an art form with its most innovative days behind it? Growing up later as a NYC teenager in a golden age of Hip-Hop, arguably also a golden age of pop, jazz had plenty of competition. My first jazz show wasn’t Miles. A smooth-jazz loving uncle snuck me into a show at the famed Bottom Line jazz club when I was far too young to be there, a 16-year-old watching 16-year-old organist Joey DeFrancesco do his thing. Genuine interest on my part led the family to expose me to stuff like this; none of it felt forced on me. College love connections around the corner seemed more sophisticated with mood music like Thelonious Monk Plays Duke Ellington in the background. Denzel Washington starred in director Spike Lee’s Mo’ Better Blues in 1990, centered on a conflicted, egocentric jazz trumpeter. Few modern African-American romances exist in Hollywood; me and a whole young black generation were transfixed. A “Mo’ Better Suggested Listening” chapter of Spike’s making-of book featured recommendations by Branford Marsalis, Jeff “Tain” Watts and Terry Blanchard, and I sought out a few. One of my first winter season dance performance shows at Alvin Ailey turned me on to Alice Coltrane’s “Something About John Coltrane,” and Journey in Satchidananda. Seeing tap dancer Savion Glover star in the Broadway musical Black and Blue introduced me to Duke Ellington’s “In a Sentimental Mood.” I soaked up jazz that moved me wherever I could find it. A Tribe Called Quest mashed jazz with hiphop in the 1990s, making clear that plenty of teens and twentysomethings loved the form at least as much as I did (given that Q-Tip, ATCQ’s producing MC, was my age). Q-Tip loved all my jazz and then some if his samples were any indication: Ramsey Lewis, Lonnie Smith, Donald Byrd, Lee Morgan, Gary Bartz and a slew more. The first three seminal ATCQ albums—People’s Instinctive Travels and the Paths of Rhythm and The Low End Theory in particular—made jazz more attractive to Gen Xers satisfied with the amazing rap of the time. 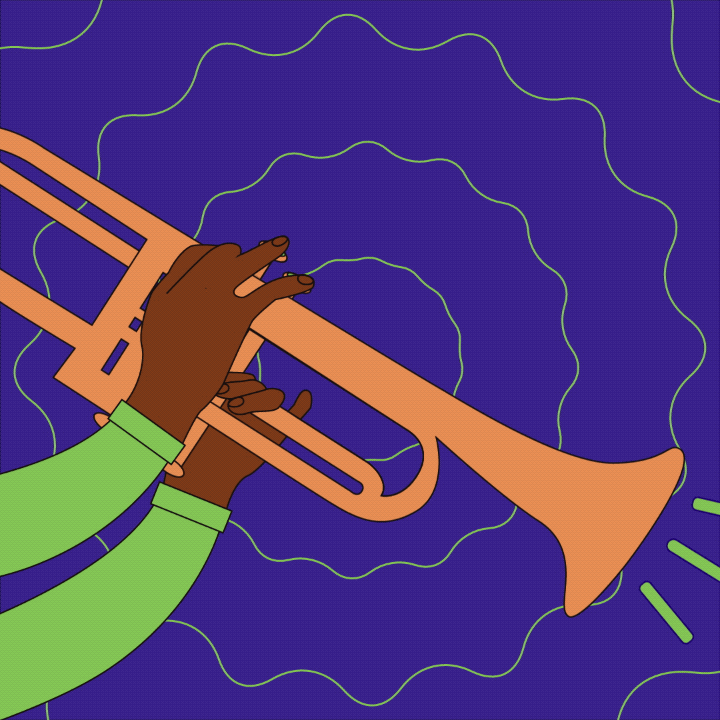 As one of the earliest African-American music forms created in this country, jazz floats through our veins like a truly natural lifeblood, whether we literally grew up on Kind of Blue or not. Read Next: The Greatest of All Time?